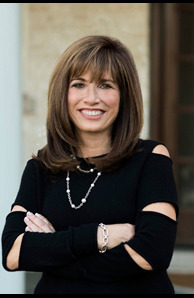 Judy Greenberg is the consummate real estate broker – smart, savvy and so real. No matter what the request, she works with unbridled energy and enthusiasm to achieve her clients' real estate goals. Her energy is contagious and clients find it refreshing just to be around Judy’s positive nature. What differentiates Judy from others though is her connectivity to everyone around her. She knows the Buffalo Grove, Long Grove, Lincolnshire, Vernon Hills and surrounding markets like no other and through her extensive network often sells houses before they even hit the market. Judy has received the deserved recognition throughout her successful career for her innovative approach and delivering outstanding results. With thousands of real estate agents working in Chicago’s suburban market, Judy is extremely honored to have been elected by her peers as the Chicago Agent's Choice Suburban Industry MVP. Judy consistently ranks in the top 2 percent of all Coldwell Banker agents and is a member of the Elite Coldwell Banker’s President’s club. Affable and efficient, Judy is known to be honest and direct. She is busy and she knows that her clients are busy too so she makes it a hallmark of her business to “tell it like she sees it” – even if it means losing a listing. As a result, she is a truly trusted advisor to her loyal clientele – always demonstrating determination, resourcefulness and smarts. Judy provides unparalleled market knowledge because of her deep experience. She finds it rewarding to not only help her clients but to help agents on the other side of the deal to positively impact the process. In addition to Judy’s creative marketing approach and extensive internet experience, Judy brings to the table a C.P.A background. By analyzing both local and national real estate trends and tax ramifications of her client’s transactions, Judy can position her clients’ homes so they receive the maximum dollar value that the market can bear in the shortest time necessary on the market. "Passionate, Driven, Caring, Knowledgeable, Go Getter and much much more ! Judy is the best Real Estate Agent, we have ever worked with and this was the third house that we have bought and sold. Judy is excellent in communicating and follow-ups. She is fast. We received responses back from her within minutes of our texts / emails or missed calls to her. We really don't know how she does it! In addition to being a professional Real Estate Agent, she is also a very genuine, honest, warm and kind hearted human being " says one of her clients. Judy routinely earns the respect and loyalty of her clients resulting in a steady stream of referrals and repeat customers. Find out first hand why Judy was named Industry MVP and is consistently Referred for a Reason. She can be reached at 847-602-5435 or at judy.greenberg@cbexchange.com. For the newest real estate inventory and updated pricing look to www.judygreenberg.cbintouch.com. Judy and her team make a significant investment in the properties they sell. Before putting a home on the market, they work with their sellers to optimize the presentation of their home, to identify their target market, to develop a strategic marketing plan, to analytically assess market value, and to professionally photograph the home and produce high quality marketing brochures. Once listed, they offer a comprehensive mix of high-quality print and web-based advertising venues as well as email feedback after each showing and strong customer support. They leave no stone unturned to achieve a successful conclusion to a transaction.